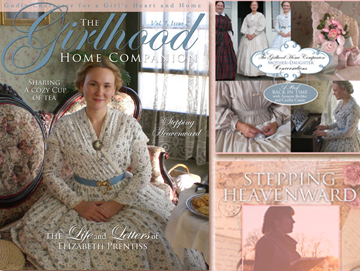 The new Girlhood Home Companion now in production is available for pre-order. Reserve your copy today! 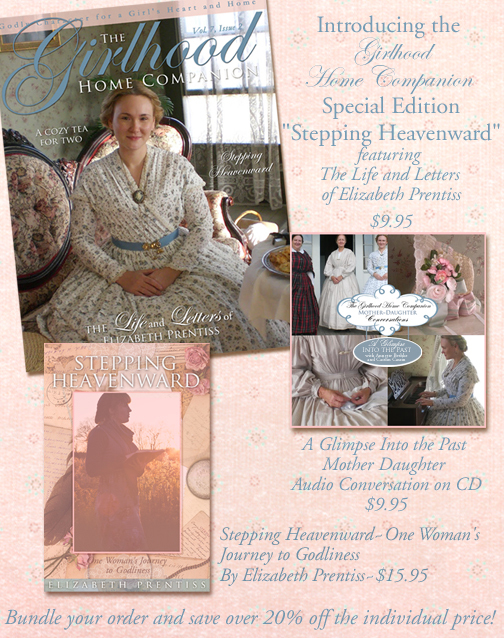 This precious issue features the Life and Letters of Elizabeth Prentiss author of the Christian classic Stepping Heavenward. Available in a single issues or bundle and save 20% off the individual price. For product descriptions click through to our store.